Anyone want to test this out? You can enter CUSTOMIZE to clear the list of solutions, and/or add your own. SOLVE #text# (#text# being your answer) will try to solve. result = preList + " "
result = result + " &nbsp;"
result = result + "&nbsp;"
It might look better if the image floated outside of the text, so there was just one, but it was always there. Also, when you do SOLVE, if you get it wrong, it should add to the hang man. Both suggestions are good, too (of course). I'm planning on adding a status pane that shows the letters you've tried so far. I also need to make it show the answer when you lose, I think. definitely cool game, more of these "simple" games are great for people to learn/study, and play too, to showcase what quest can do, as full text/rpg games take a long time to finish, having more simple games, is good avertisement of what quest can do, and also help people with learning various stuff from them. 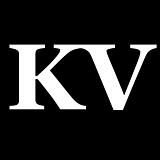 How are your card games coming, KV, did you finish your poker game? I was considering calling this game GUESS THE VERB, seeming how all the solutions are Quest commands, but I decided PICK A LETTER was much more straightforward. Pick a Letter has now been updated. These are very hard words! Give me some words, and I'll add them, ma'am. Pretty. Beautiful. Gorgeous. Dainty. Saintly. You can enter CUSTOM to clear the list of possible solutions and/or add your own. ...and I thought those fit in with the rest, so I dropped them in. That's why I originally wanted to title this game GUESS THE VERB. ...well, I originally thought of making a game where you had to play hangman to get access to verbs/commands, but that seemed a little daunting (for me and the player). You need to be quite the IF geek to know "frotz". Yeah, I was just considering removing "frotz" while editing this earlier today, simply because it wasn't a built-in Quest command, but I didn't even consider how obscure those Enchanter games are in this day and age. I believe I shall remove it.